News and current events from our company. Find our latest activities such as trade fair dates, events and press releases here. 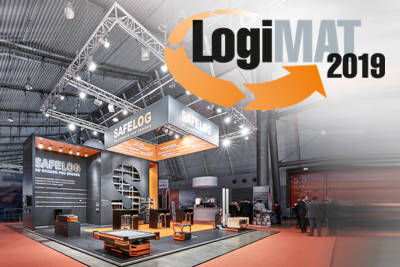 Commissioning and transporting – experience our wide range of solutions live and in action from 19 to 21 February at LogiMAT in Stuttgart. 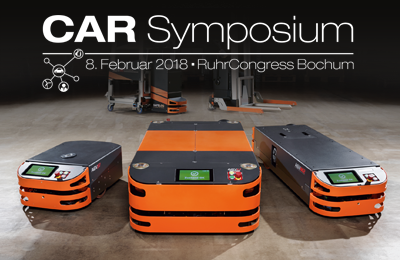 SAFELOG will provide information on its successful technology and the latest developments in its transport robots AGV S/M/L and will be happy to inspire you again this year. “Material flow as an overall concept – lean, efficient, holistic” – in his lecture at the 18th CAR-Symposium at the RuhrCongress Bochum Prof Dr Jens Schaffer will present innovative SAFELOG solutions and concepts (not only) for the automotive industry. Automated Guided Vehicles (AGV) and mobile robots – opportunities, technologies, cost effectiveness. 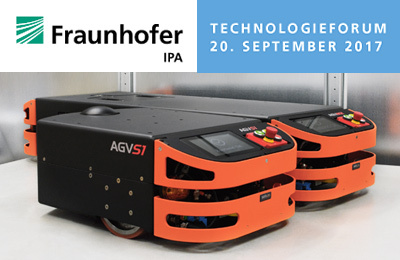 In the context of the technology forum Safelog presents intelligent, agent-based AGV technology and the opportunity to efficiently combine these with innovative commissioning technology into complete lean systems. Thanks for your visit to our stand at LogiMAT 2017. We were very pleased with the consistent positive feedback and your interest in our existing, tried and tested technologies Pick by Beamer, Pick by Light and AGV as well as in our new and further developed concepts AGV S1/M2/L1, intelligent commissioning trolley A1 and Beamer Shuttle “curve”. 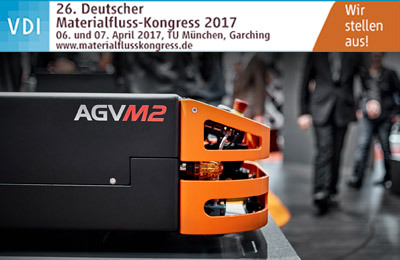 In March, about 400 intralogistics experts come together at the Technical University of Munich, Faculty of Machine Engineering, Garching to discuss current trends, pioneering technologies and innovative solutions. 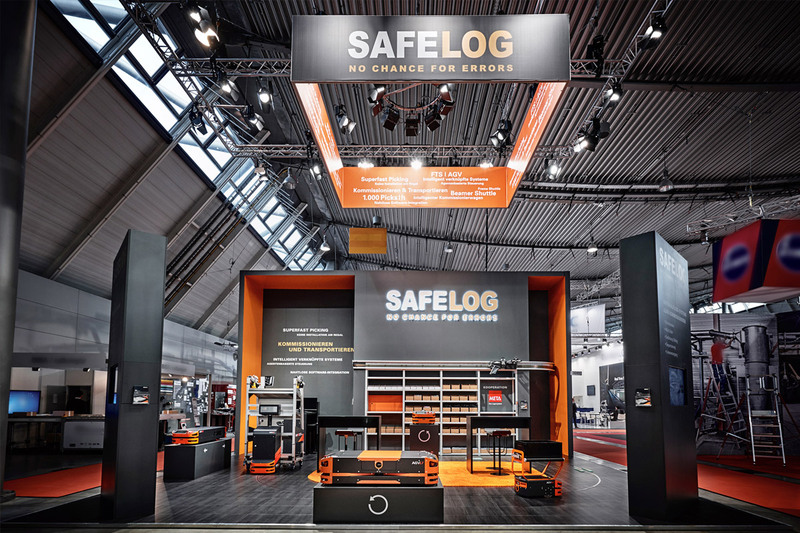 During the exhibition SAFELOG will present the newest member of its family, the multifunctional AGV. We look forward to seeing you there.